A Vasectomy is a very common male birth control procedure that you may find you want reversed down the road. If you are an individual facing infertility due to a previous Vasectomy, you have probably heard the term Vasovasostomy before. A Vasovasostomy works well when you simply want to reconnect the vas deferens; however, if you are wishing to fully restore your fertility, you should choose a method that repairs the Vas Deferens as well as the Epididymis. The Epididymis is responsible for carrying sperm from the testicle to the Vas Deferens, and 80% of Vasectomy Reversal cases also need Epidydimal repair to fix microscopic “blowouts” that often occur either as a result of the original Vasectomy, or from pressure build up over time. If you are seeking to fully restore your fertility after a Vasectomy, it is important to take an all-inclusive approach to your Vasectomy reversal procedure. Making sure your Vasectomy reversal method includes Epididymal repair in addition to the reconnection of the Vas Deferens only serves to ensure full restoration of your fertility post-Vasectomy. It doesn’t matter how much time has passed since your Vasectomy or how much of your vas deferens was removed during your original procedure— male infertility experts at New Hope Fertility have experience with all different types of Vasectomy Reversal patients and have worked with over 6,000 men like you to restore their fertility. Precise microsurgical techniques have resulted in most patients developing normal sperm count and sperm motility (indicating fertility) following their Vasectomy Reversal (where no Epididymal repair was needed). Most of these men also achieved pregnancy without further treatment. To schedule a consultation to see how we can help in restoring your fertility after a vasectomy, please call (212) 400-9624. Please note that we no longer perform Vasectomy Reversal’s here, but are happy to help refer you to a specialist who we may work with hand in hand, throughout your journey. 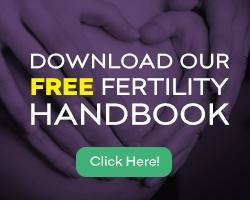 Learn more about our other male infertility treatments.